McMansion Hell is among the legion of observers ridiculing massive “garage Mahals” and “starter mansions.” McMansion Hell is distinguished by its concrete architectural analysis of oversized residences, spending much of its energy dissecting specific material elements of the pejorative McMansion. This is in some ways an archaeological approach to a class of material things, revolving around systematic material description of specific architectural features that unsettle many observers. McMansion Hell does not try to stake a claim to contrived objectivity, instead acknowledging its aversion for massive residences, sarcastically deconstructing a host of aesthetic features, and painting a very distinctive social and material notion of the stylistic if not social deplorability of tract mansions. However, it focuses on the stylistic dimensions of “bad” architecture and does not feature especially clear ethnographic evidence that might interrogate both the appeal of McMansions and the widespread distaste for them. 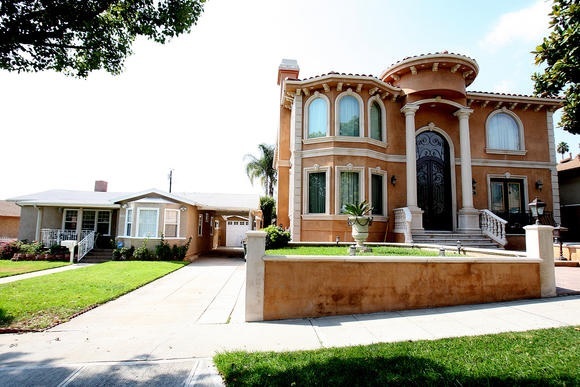 Massive homes are routinely criticized for dwarfing neighboring architectural fabric, as in this Los Angeles neighborhood (image from No More McMansions LA). 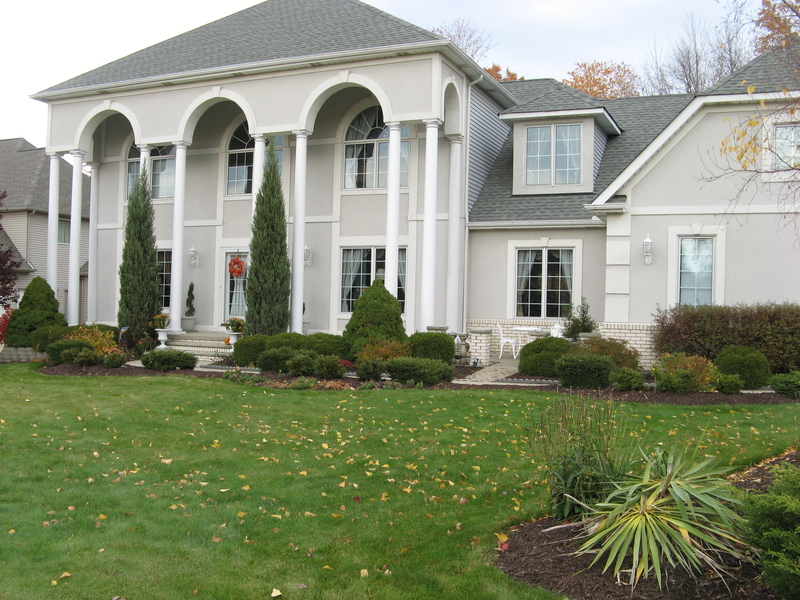 The massive and affordable luxury home had emerged in many American communities by the mid-1980’s. Jack L. Nasar, Jennifer S. Evans-Cowley, and Vicente Mantero’s 2007 study of over-sized homes found that between 1987 and 2001 the average new home had increased in size from 1900 to 2300 square feet, and “the percentage of new houses with more than 3000 square feet has almost doubled.” By 2003, more than 20% of newly built homes occupied more than 3000 square feet. Yet over that period that houses expanded, the average household size decreased from 3.14 in 1970 to 2.57 in 2000, and house lot sizes decreased as well. 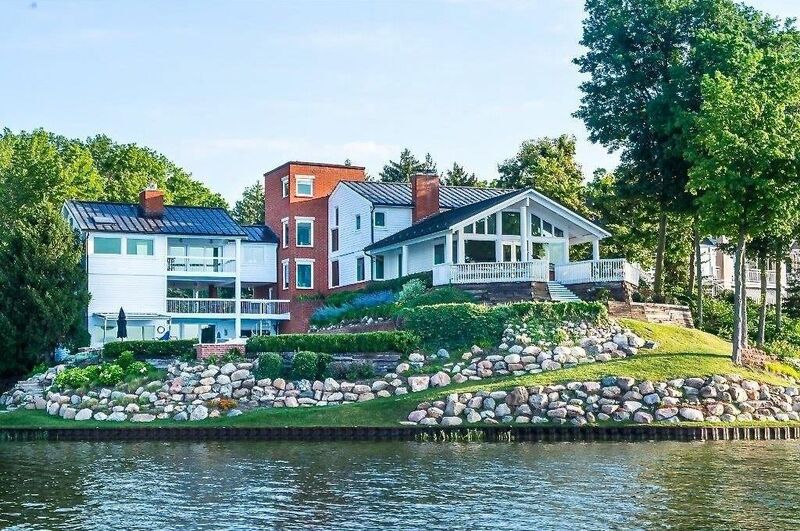 This massive home in Minnesota sits especially far-removed from surrounding homes, a theme critics often fix on when examining the social isolation fanned by massive homes (image from Bill Forbes). Brian Miller’s measured assessment of McMansion media rhetoric argues that much of this discourse wields the McMansion as symbols staking out broader ideological if not moral critiques (compare his blog Legally Sociable). Miller found that the McMansion functions as “a complex term with four distinct meanings: a large house, a relatively large house, a home flawed in architecture or design, and a symbol for more complex issues including sprawl and excessive consumption.” Miller frames the McMansion as a narrative device that continues a longstanding debate over the social and moral implications of suburbanization, home, sprawl, community, and consumption. 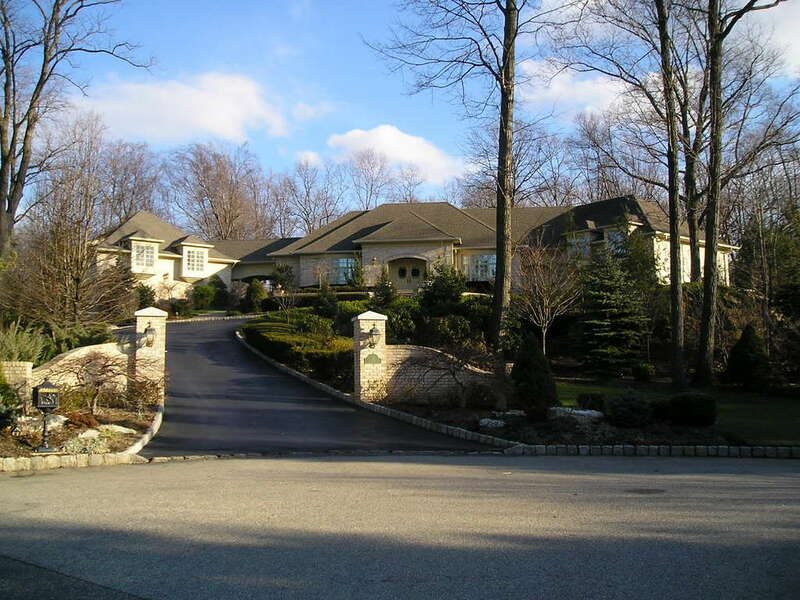 Analyses of residential affluence often feature this New Jersey home that appeared in The Sopranos (image DrBob2012 Toronto Prelude Club). Much of the critique of McMansions revolves around the apparently overdone class theatricality of monster suburban developments. In 2005, for instance, Paul Knox cast oversized mansions and newly affluent suburbs in very unflattering terms, deploring American suburban “landscapes of bigness and spectacle, characterized by packaged developments, simulated settings, and conspicuous consumption, and they have naturalized an ideology of competitive consumption, moral minimalism, and disengagement from notions of social justice and civil society—the peculiar mix of political conservatism and social libertarianism that is the hallmark of contemporary America.” Knox referred to these new suburbs as “Vulgaria,” a landscape that Knox paints in vivid detail: he emphasizes the pretentious symbolism of “tract mansions and starter castles of 3,000 or 4,000 square feet and upwards, featuring two-story entrance halls, great rooms, three- or four-car garages, huge kitchens, spa-sized bathrooms, his-and-hers room-sized master closets, media rooms, fitness centers, home offices, high-tech security systems, and perhaps even an au pair suite.” Rebecca Graff argues that such rhetoric extends a longstanding contempt for material surfaces that reaches back to the Gilded Age itself. Ideologues and aesthetes in the late-19th century and contemporary world alike bluntly dismiss seemingly pretentious displays of wealth that theatrically—if not in-authentically—perform affluence and class ambition. 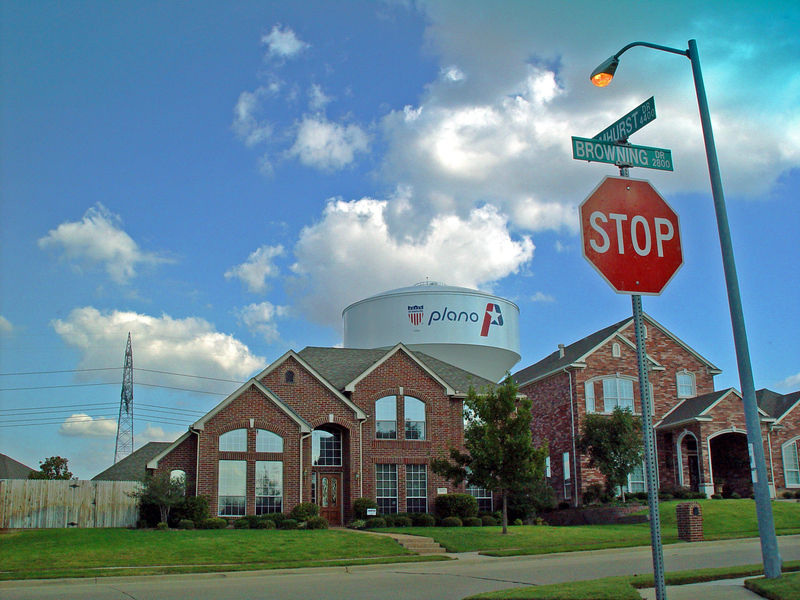 A typical tract mansion in Plano, Texas (image from Dean Terry). McMansion Hell’s author argues that the distaste for McMansions is perhaps most firmly rooted in generational divides, with an older generation intent “on owning and having assets and this generation is now more interested in having experiences.” She echoes longstanding anxieties about suburban isolation and car culture that are heightened for younger generations and magnified by tract mansions: “For a lot of young people that grew up in the suburbs, once you reached adolescence, there was a quality of life that was really impacted by the isolation of the suburbs and I think that has played a huge role as to why the younger generation is rejecting this notion of ‘the big house’ and this notion of always being in the car.” Yet sociologist Brian Miller persuasively counters that such broadly painted generational pictures are inevitably clumsy generalizations that fail to wrestle with cross-generational desire for such homes. A sympathetic view of McMansion residents can still stake a critical position on massive residential tracts and laissez faire community planning policies. For instance, Joel Garreau’s 1991 study Edge City: Life on the New Frontier champions a compassionate view of residents living in what he calls “edge cities.” Garreau argues that edge cities are distinguished by their concentration of workplaces and consumer spaces outside the traditional urban core, typically being placed at the urban periphery near highway interchanges and suburban residential tracts. The edge city is cut from a series of urban forms rooted in expansion out of the urban core that began in the late-19th century, and the oversized mansion can be found in suburbs, urban in-fill (i.e., razing existing homes and building proportionally large homes), and edge cities alike. Garreau’s study is distinguished by his skepticism that urban planners and developers forced various apparently unappealing community forms like suburbs onto Americans; instead, he suggests that Americans have routinely embraced non-traditional community spaces and may actually desire to live in places many observers deplore. Garreau perhaps under-estimates the sway of federal policies on urban settlement patterns, since migration from central business districts has routinely fueled planners’ efforts to engineer communities around classist, racist, and auto-centric and business-friendly policies. However, Garreau breaks from the chorus of urban planning critics in his view that Americans’ imaginations of suburbs, edge cities, and boomburbs is socially consequential. 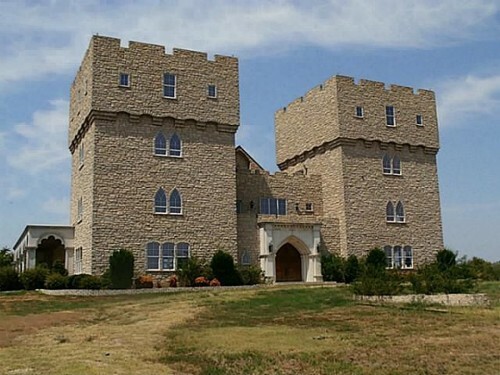 This Texas mansion somewhat cheekily embraces the notion of a “starter castle” (image from Zillow). 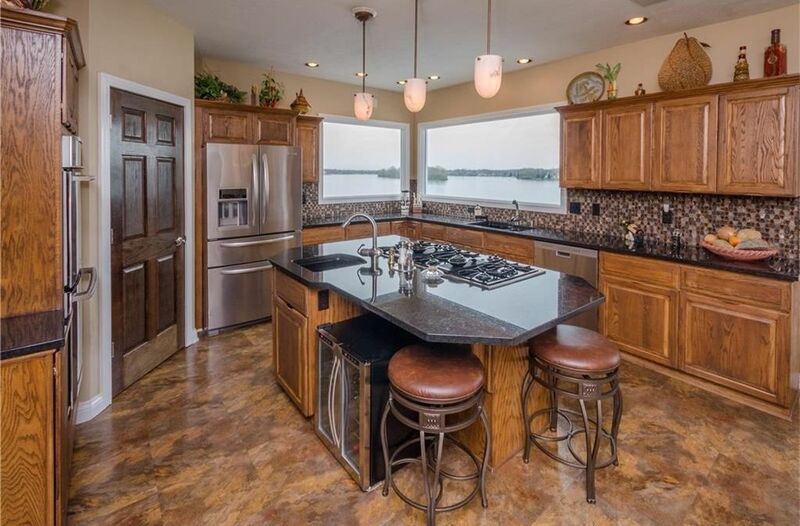 This waterside Indianapolis home mixes a breadth of style and proportions in a 7450 square-foot home (image from Zillow). Many observers are now reading the death rites to the massive suburban mansion, citing a relatively well-defined decline in square footage; nevertheless, the impending death of oversized tract mansions has been signaled quite a few times over nearly a decade. In 2011 Gawker declared the “McMansion is dead,” and Witold Rybczynski predicted that a five-year housing decline likely spelled the doom of tract mansions; two years later Curbed cautiously wondered if the McMansion was being resurrected; and last week the Hartford Courant once more proclaimed that newly built homes are shrinking in size and massive homes are neither affordable nor desirable for many home owners. The McMansion is perhaps no longer an economically viable investment (or at least not likely to hold its value), and it is possibly true that the pure economics of massive homes make their market unlikely to grow significantly. Nevertheless, there is still consumer desire for such spaces among some prospective homeowners, and the commonplace revulsion to these houses and the classist and social xenophobia they enable remain unexamined. 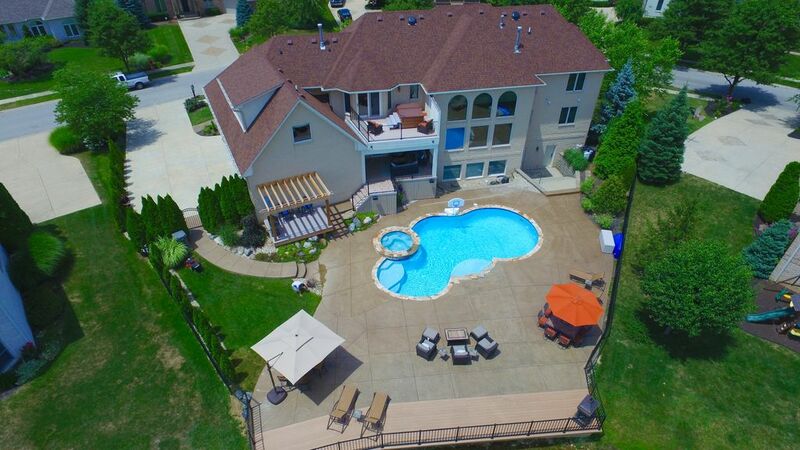 Pools are often featured in tract mansions like this home outside Indianapolis (image from Zillow). A host of new planning ideals propose to end the unchecked expansion of aesthetically and socially undesirable neighborhood forms and homes, building on a rich tradition of urban engineering that has often fumbled with the human experience of places like suburbs. One darling ideal for many ideologues and planners has now become the “tiny” aesthetic, referring to both the literal scale of residences as well as their environmental and social footprint. 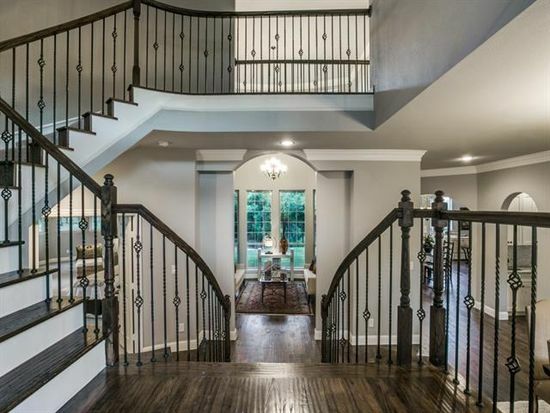 Yet as Brian Miller emphasized this week in his Legally Sociable blog, smaller does not necessarily mean new home models will be any cheaper (or even more sociable) than tract mansions. There are indeed good reasons to champion more modest residential footprints in many communities, and it is foolish to simply ignore our own embodied experience of monster homes, regardless of whether such spaces provoke unvarnished horror or an appealing sense of affluence and retreat. Nevertheless, impressionistic dismissals of tract mansions risk dismissing alternative social, cultural, and class ideals in favor of shallow if not utterly ideological notions of appropriate style, community, and materiality. Minimally, very little good anthropology is done when scholars and observers do not have some sympathy for peoples’ experiences, desires, and feelings. Our commonplace distaste for oversized homes may indeed be well-placed for various social, community, and environmental reasons, but we risk dismissing families’ desire for tract mansions, and we hazard ignoring why material things like McMansions allow scholars to unleash their own classist, suburban, and material stereotypes. 2000 Suburban Nation: The Rise of Sprawl and the Decline of the American Dream. North Point Press, New York. 2012 Dream City, Plaster City: Worlds’ Fairs and the Gilding of American Material Culture. International Journal of Historical Archaeology 16(4): 696-716. 2004 Suburbia and Its Discontents: Notes from the Sprawl Debate. Harvard Design Magazine 19:1-5. 2005 Vulgaria: The Re-Enchantment of Suburbia. Opolis: An International Journal of Suburban and Metropolitan Studies 1(2):Article 3. 2008 Metroburbia, USA. Rutgers University Press, Piscataway, New Jersey. 1994 Geography of Nowhere: The Rise and Decline of America’s Man-Made Landscape. Simon and Schuster, New York. 2003 Edgeless Cities: Exploring the Elusive Metropolis. Brookings Institution Press, Washington, DC. 2007 Boomburbs: The Rise of America’s Accidental Cities. Brookings Institution Press, Washington, DC. 2012 Cosmopolitan Suburbs: Race, Immigration, and the Politics of Development in the Silicon Valley. PhD Dissertation, University of California, Berkeley. 2015 The McDonaldization of Society. 8th Edition. Sage, Thousand Oaks, California. 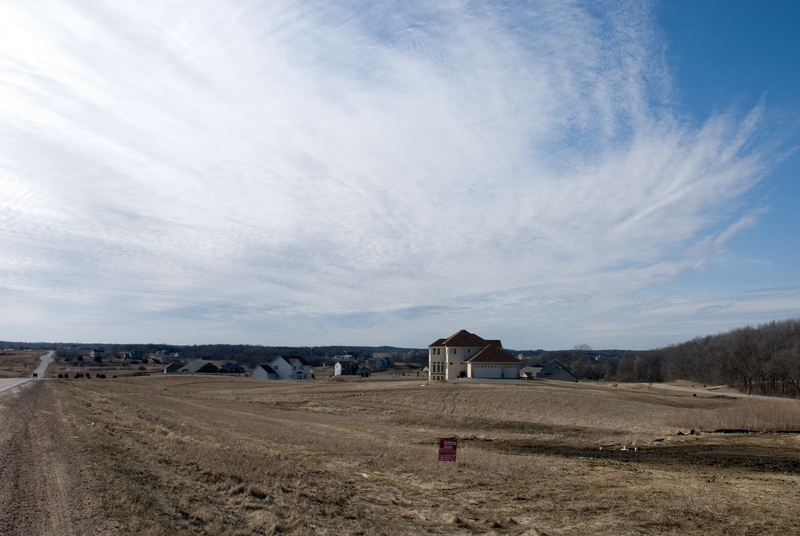 2014 Dead End: Suburban Sprawl and the Rebirth of American Urbanism. Oxford University Press, New York. 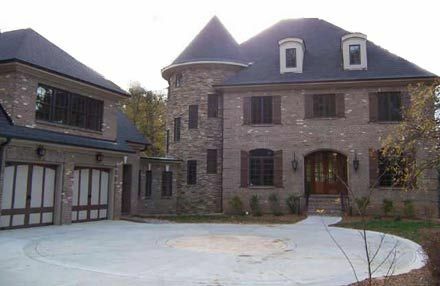 2011 Thoughts Around the McMansion. In Reincarnated McMansion web page. 2006 The Metropolitan Revolution: The Rise of Post-Urban America. Columbia University Press, New York. 2012 Suburbia Redux: Recycling the American Dream. Master of Architecture Thesis, Carleton University. 1956 The Organization Man. Simon and Schuster, New York. 1958 Urban Sprawl. Fortune January:102– 9. Posted on September 10, 2016, in Uncategorized and tagged #WPLongform, McMansion. Bookmark the permalink. 5 Comments. These are obviously matters of personal taste. What I see in most of these examples is distorted proportion and an overall lack of elegance. Having seen true, historical mansions, I think there is an obvious difference. I don’t subscribe to Ayn Rand’s philosophy of progressivism, but her assessment of architectural trends in The Fountainhead still holds relevance today. In my own, admittedly humble, opinion, this is no more than the same old games from high school. “My clique is better than yours”, “My daddy is richer than your daddy”, “I am better than you, cause I date the football quarterback”. In a word, a glaring testament to immaturity. As for the ‘social isolation’ of tract (suburban) homes, I agree that there is still isolation. But utilizing the neighborhood in which I reside (1970’s ranchers, where all but a couple of families have lived here for ten years or more) we all know one another too a degree, and can call on one another should we have an emergency, but we certainly aren’t in one anothers pockets. That is how we prefer it, though we do occasionally get together for community events such as block parties and bar-b-ques. That is simply how we prefer it. Of course, our smaller home footprints and large yards mean we have room for gardens and outdoor living, perfect for being alone or having friends over for an evening. The people who migrate to these types of older neighborhoods seem to do so in order to wrap ourselves in privacy after the strain of the outside world. And we do that perfectly well in a lot less space than a 5,000 sq. ft. McMansion. I can’t help but go back to the community my grandmother lived in when I was a little girl. Everyone had front porches and front yards where the children played while the adults sat on the porch and visited with one another, sharing cold drinks. Meals were often eaten at whichever house everyone happened to drop into, bringing casseroles and other goodies to eat. There were large trees there as well, wide sidewalks, and everyone watched out for everyone else’s children. You couldn’t get a cold without everyone bringing you chicken soup. So, maybe it is the lack of front porches, wide sidewalks, and simply caring about others that has pushed us to such deep isolation? And yes, I despise McMansions, as you can tell. But I find Victorian mansions, such as those found in Charleston, to be absolutely gorgeous. Those, my dears, have heart and soul! Thanks, I understand what you’re saying and share some of the same uneasiness especially about scale in in-fill homes like those that appear to be around you. My feeling simply is good policy will come from trying to understand desire and experience in these big homes. There are a large number of these in Howard County, Maryland. In many cases, my biggest objection is lack of proportionality or community. Too often they are set on a lot that was intended for a house with more yard, a space now consumed with more house. The other problem are those small communities of cookie cutter McMansions squeezed into a marginally large enough space, but lacking all sense of group development.